Groupe Renault has developed a retrofit technical solution which reduces real-world NOx emissions of its Euro 6b diesel engines by up to 50%, available as a free upgrade at dealers from October. Renault claims the update cuts NOx emissions by 50%. 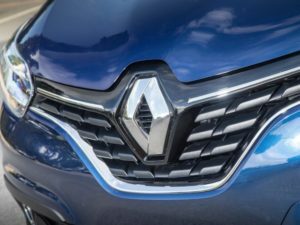 It follows a research programme by Renault Engineering which began last July, seeking to close the gap between laboratory-derived NOx (nitrogen oxide) emissions and performance under varied real-world driving. This was accelerated last December by an additional budget of €50m (£39.7m). The upgrade involves reprogramming the engines’ injection controller. This widens the operating range of the exhaust gas recirculation (EGR) system, which reduces combustion temperatures and cuts NOx emissions. It also enhances the performance of the NOx trap, which traps and stores harmful NOx in the exhaust stream, and breaks it down into water and nitrogen. Renault claims this could reduce real-world nitrogen oxide emissions by up to a half, depending on how the vehicle is used, with no noticeable impact on performance or fuel economy. The update will be applied to all new vehicles from July, but owners of Euro 6b-compliant vehicles will be contacted in the coming weeks offering a free, optional upgrade at their local dealer from October.